Imagine you decided to create your first video. The shooting is done, and you’re almost ready to share the video. But wait, you have to edit it so that it looks polished and more attractive. Since you’re not a professional videographer, expensive and complicated video editors aren’t considered. A free and easy to use video editing software is what you need. Free video editors usually limit their features, providing only the basic ones. Anyway, that will be enough for simple actions – splitting or cutting the video, adding subtitles or captions, adding background music and video transitions. Let’s look at the 5 programs that you can work with right away. 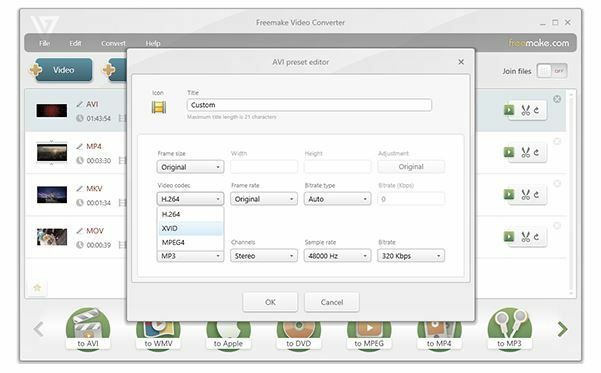 Freemake Video Converter is an easy to use program with a simple interface. The main task this software can do is to convert files to more than 50 formats, but it also has some basic editing features. You can trim the footage, add subtitles, extract or add audio, and merge several videos into one. Also, Freemake allows downloading and uploading video directly to YouTube. It can even convert and send video files to a Blu-ray or DVD disc with an option to create a DVD menu. Freemake Video Converter is compatible with any version of Windows. IMovie is probably the best choice for Mac users. This free and simple program has a lot of useful features and allows beginner filmmakers to create high-quality videos. There is an option to enhance your clips in just one click to make them look polished. 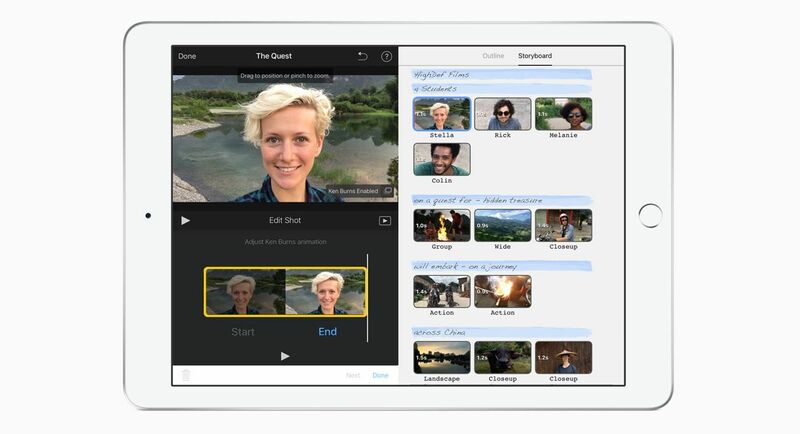 But if you need more, iMovie offers a lot of possibilities. You can do color correction, trim and stabilize clips, change the speed, add audio and video effects – by the way, there is a built-in library of templates, transitions, and audio tools. As soon as you’ve finished your project, you can share it directly to YouTube and social networks from the app in up to 4K resolution. This app works fast but has limited output settings. Also, there are no such advanced features like motion tracking and 360-degree. Open Shot is another free and easy to use video editing software. It’s available on Windows, Mac, and Linux. This program supports most video, audio and image formats, and drag-and-drop. Let’s look at what you can do with this editor. First of all, the number of layers is unlimited, which means that you can add as many layers with background music, graphics, watermarks, etc. as you need. As for the editing features, OpenShot offers plenty of them. You can not only crop and merge clips but also rotate and scale them, making animation. Then use color correction options, add transitions (400+ are included) and titles (templates are also included). There are many audio mixing and editing features as well to have you covered. So Open Shot is a pretty powerful video editor. 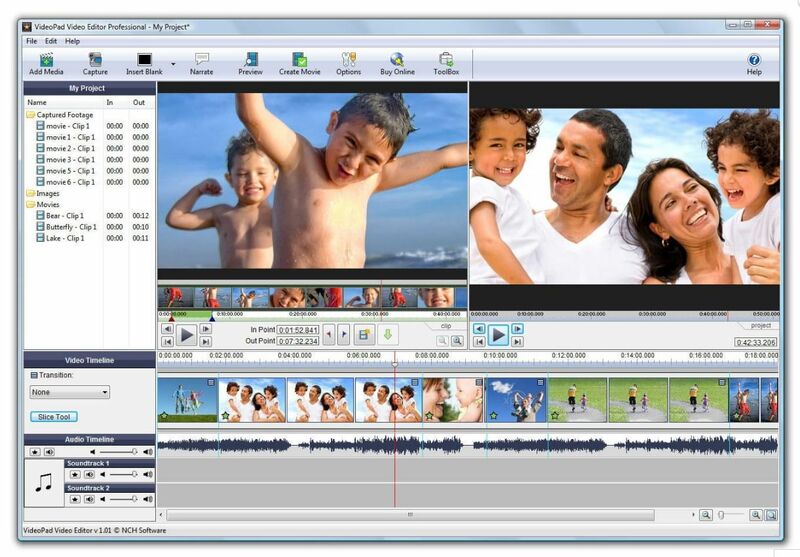 VideoPad is another application suitable for Windows and Mac. A free version is only for non-commercial use. If you want more features or need to make commercial projects, there are paid editions without any functional limitations. A free version has all the essential video editing tools that are highly effective. The interface is as simple as possible so it's very easy to learn but looks outdated. However, it doesn't matter much as the program is free and handy after all. You can easily drag and drop the files to different tracks, mix, split and trim the clips in the timeline, add music, text, and titles. Like in other programs it's possible to apply effects to audio, video, and text and add transitions. VideoPad has a built-in library of effects and transitions which are pretty nice and usable, despite the program is free. Recording tool allows capturing video from your device and adding it to the project. Exporting process in VideoPad is also easy to understand and the program gives you a list of output formats. A paid version can export the video directly to YouTube and social networks. All that said, VideoPad is the best choice for personal use. 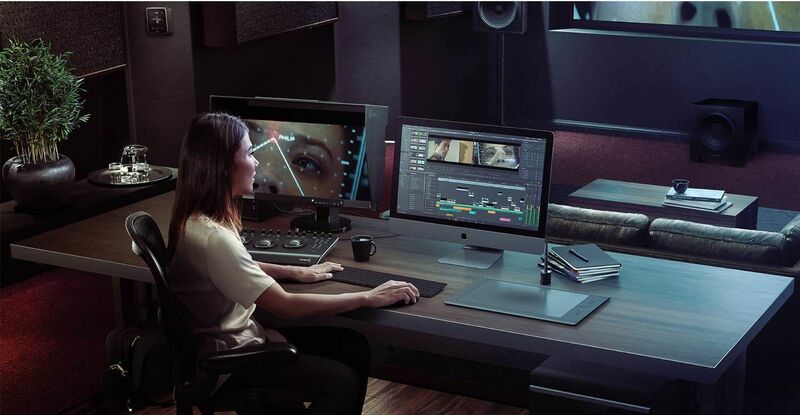 DaVinci Resolve is an advanced video editor with plenty of functions for those who are familiar enough with video editing. The interface may seem too complex for beginners, so it will take some time to get used to it. This software was initially created as a color-grading tool, so it allows making an excellent color correction. As it's a pro software, there are a lot of basic editing features as well as advanced ones. You can fine-tune video and audio with many tools, add transitions, audio and video effects, titles, and filters from the built-in library. Unlike the other free programs, DaVinci Resolve supports multicam editing and has a professional sound editing feature. So, if you plan to improve your skills and create Hollywood-level videos, it's worth to spend some time to learn to edit in DaVinci Resolve. Even if you're just making the first steps into video editing, you should give it a try, as it's too good to be free, but it really is.